Semi-Custom Infinite Grace Petite with 0.48 Total Carat Weight - Platinum - Ring Size 7.5 was added to your cart. 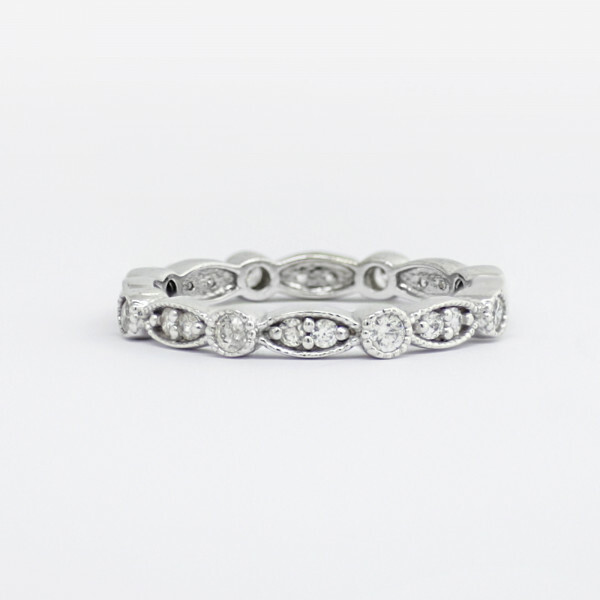 This charming eternity band is brimming with vintage elegance. The silhouette mimics the look of alternating Round and Marquise cut Contemporary Nexus Diamonds, though in truth it is set with Round Brilliant stones and designed with intricate metalwork. It is a work of art you can wear daily. Stack it up or wear it alone—it is perfect either way.